PM Modi’s escalation is based on the calculation that India can afford it given the country’s diplomatic clout. Prime minister Narendra Modi has a huge appetite for risk, but the Balakot air strikes in Pakistan is proving to be a costly game. Modi is pursuing a new ‘vertical and horizontal’ escalation strategy. He was testing Pakistan’s capability to respond without crossing the nuclear threshold when he sent the Indian Air Force to carry out operations across the Line of Control. He believed India could manage the diplomatic fallout of an escalation and bring Pakistan to its knees. It was the first time since the 1971 war that Indian jets carried out strikes in Pakistani territory. Pakistan views it as a brazen military offensive, although the Modi government claimed it was a pre-emptive strike against alleged militant camps and not military action. India’s statement about destroying terrorist camps and killing hundreds of militants in the strike was widely contested in Pakistan. The Indian claim of carrying out punitive action against Pakistan – with huge symbolic significance – has also fed into the jingoistic frenzy the media has been churning. The latest Indian incursion has gone far beyond the earlier claim of surgical strikes in 2016. And Indian aggression has raised the stakes for Pakistan. Modi’s escalation is based on the calculation that India can afford this move given the country’s diplomatic clout. Nothing could be more unrealistic than Modi’s talk of isolating Pakistan and damaging it economically. Of course, Pakistan has some serious foreign and security policy problems that have greatly harmed the country, but it is a tall claim that one can isolate a country enjoying an extremely important geostrategic position. The withdrawal of the Most-Favoured Nation (MFN) status was self-defeating. The balance of trade has been in India’s favour. A major challenge for Pakistan was countering the Indian belligerence. There was no option but to retaliate. And that’s what happened. Within 24 hours, Pakistan struck keeping its promise to respond to India’s incursion at a place and time of its own choice. Pakistani military spokesman said the planes were intercepted when they entered into Pakistani airspace. One pilot of the downed IAF plane was produced before the local and international media. The shooting down of Indian aircraft was to demonstrate Pakistan’s right, will and capability for self-defence. The country has been put on high alert since then. The National Command Authority (NCA) met to decide the future course of action. 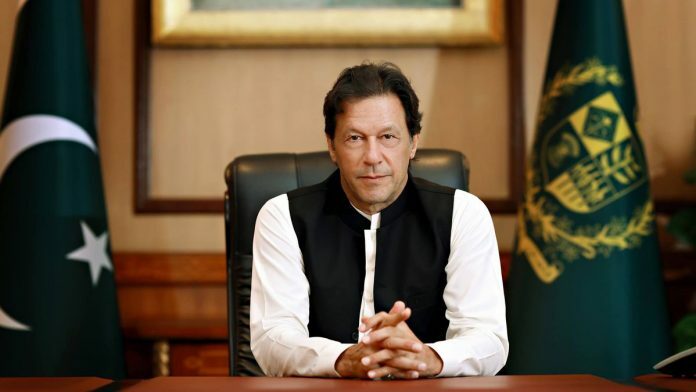 He once again offered Pakistan’s cooperation in the investigation into the Pulwama attack that killed more than 42 Indian soldiers. “I understand the pain (of those who lost family members in Pulwama),” he said. The statement is described as a tacit condemnation of the militant attack on the soldiers. He assured that it was not in Pakistan’s interest to let its land be used for terrorism. It may sound like a cliché, but the steps taken by his government over the last few months show that things have changed. Imran Khan’s statement is in line with the decision taken by the National Security Committee to show zero tolerance to militant and extremist religious groups operating in Pakistan. Even before the latest escalation, the authorities had stepped up the crackdown on outlawed militant groups operating under different banners. With the militants turning their guns inward, it is in Pakistan’s own national interests to eliminate them. But there is a danger of extremists gaining ground in the event of a conflagration. One hopes India will respond positively to Imran Khan’s call for peace and offer to investigate any actionable information. Slamming doors on talks would not help. Efforts must be made to de-escalate the situation before it’s too late. The writer is a Pakistani journalist and author of The Scorpion’s Tail: The relentless rise of Islamic militants in Pakistan and Frontline Pakistan: The struggle with militant Islam. What about then OIC inviting India as a guest of honour and Pakistan protest was not even heard? India’s diplomatic clout is growing for which you have to look at the statement coming from China which didn’t endorse Pakistan in any way. Isn’t Modi who is playing risky game it’s Pakistan army/ISI that has been playing a risky game for a while now it’s time they experience wrath of India..
It’s one sided analysis.We as a country bleeding &suffering since 1990.Pak establishment never paid any attention & even haboured terrorism..The truth is that Pakistan is exporter of terrorism & is a well established fact among international community.Their countdown has began which is also in the their interest.Let Sense prevail for themselves. India has to worry about depleted air force squadrons and Pakistan about empty coffers. Neither sides are prepared for war.